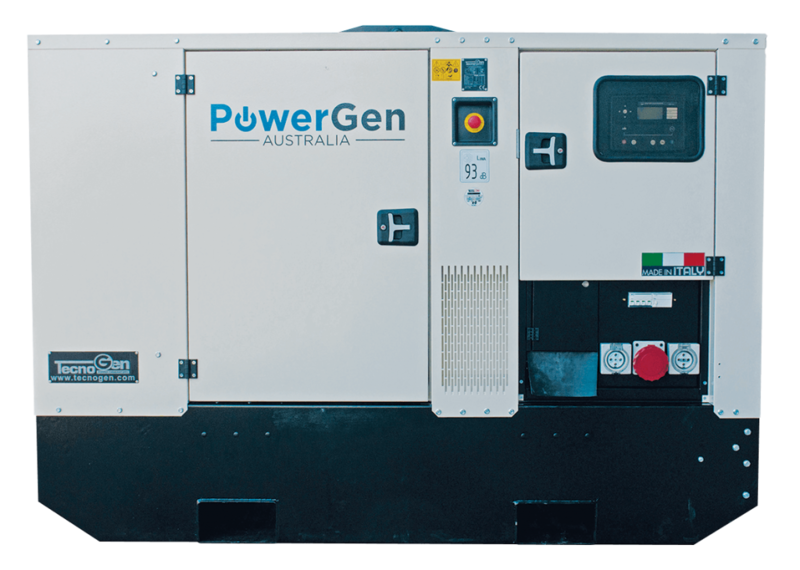 PowerGen Australia offers a range of branded diesel generators at cost effective prices. We are providing highly compact, energy efficient and reliable diesel generators as per your application needs. 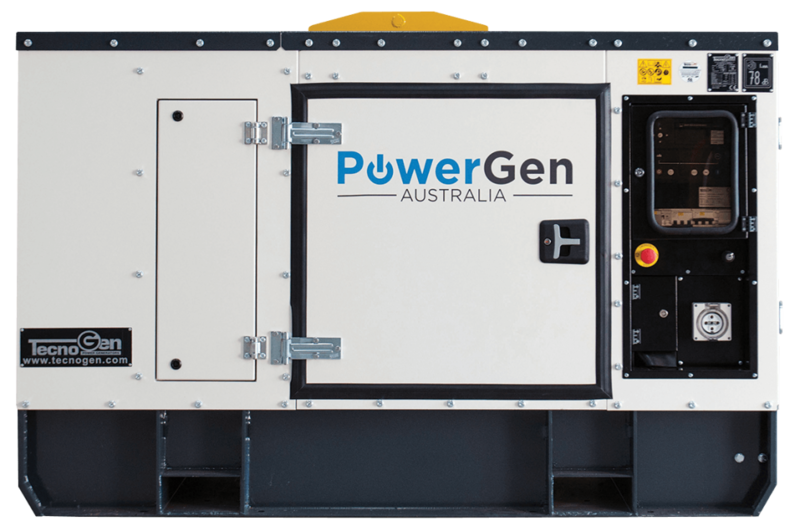 At PowerGen Australia, we retail high quality generators that are produced by the top manufacturers and brands like TecnoGen, Kohler, Perkins, CAT, John Deere, Volvo, Leroy Somer & MeccAlte. Our high standard equipment have fully bunded and integrated fuel tanks, vibration dampers, exhaust gas silencer, air filter, manual & digital control panels with circuit breakers, distribution panels with output sockets (optional), 12/24V battery, ultra-silent canopy and forklift pockets. We design robust, low fuel consumption and environmentally friendly diesel generators ideal for rental, mining and construction sectors. Due to their ultra silent feature, these diesel generators are also perfect for the events and entertainment industry. Additionally, on your request, we can supply heavy duty generators with heavy duty base frames for safe and easy handling on construction sites throughout Australia. Moreover, our efficient team also offers comprehensive and professional installation and maintenance services. Our certified engineers have tremendous experience in installing, maintenance and servicing of diesel generators. Whether you want to install your generator as a stand alone power system or integrate into a complex continuity programme, PowerGen Australia provides you seamless services. We design and install each diesel generator for optimal performance. After the installation, our experts test the full generating set. Due to our dedication to excellence, we feel proud to be known as the best provider of industrial diesel generators across Australia. PowerGen Australia is a consortium of all your needs as we provide you seamless services from product evaluation & purchase to delivery, installation and commissioning of diesel generating sets. As an authorized distributor of TecnoGen and Kohler, we supply a range of branded diesel generators and products that will surely suit your applications. We professionally & efficiently install, maintain and service a range of branded diesel systems in a timely and cost effective manner. Explore our range of diesel generating sets, we will provide you customized services with the highest standard of customer care.